Our specialist Speeding Offence Lawyers have achieved excellent results at defending motorists that have received a postal requisition or summons to attend Court. If you are being investigated or are potentially facing prosecution for driving too fast, call our specialist team on 0345 222 9955 or send us a message via our Contact Form at the bottom of this page for a Free Initial Telephone Assessment regarding your alleged offence. Motorists that do not obtain legal advice for these type of offences could receive unnecessary penalty points on their driving licence. In certain situations, a driving ban could even ensue. This could be due to the high speed travelled in the committing of the offence, or the accumulation of 12 or more penalty points. If a motorist is facing prosecution for significantly exceeding the speed limit, they may also face prosecution for dangerous driving. Due to the Police seeking to make our roads and motorways a safer place, speed cameras are becoming a frequent sight on our highways. 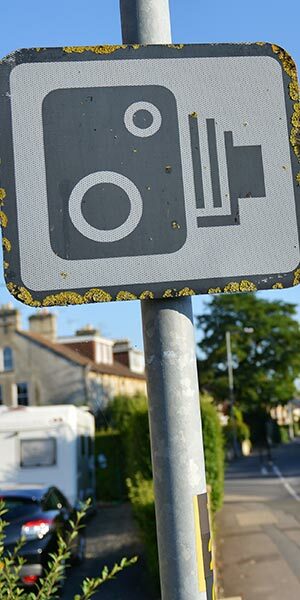 There are over 14 types of camera and these are being installed on many roads and motorways across the UK. This has resulted in an increase in the number of motorists finding themselves appearing in Court for these types of offence. From the fixed Gatso camera, average speed cameras and Siemens SafeZone connected with the ANPR network to name but a few, it is likely that more and more motorists will come before the bench. 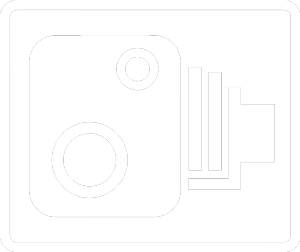 The types of cameras that are being introduced to the UK highways can report much more than speeding. The newest cameras can end up with you appearing before the magistrate or Judge for eating, not wearing your seatbelt, drinking, using your phone or even smoking behind the wheel. A conviction for these type of driving offences could have lifelong repercussions, with the risk of a driving ban and the effects it may have on you, your dependants, your family and career. We recommend that you seek legal advice at the earliest opportunity from one of our specialist lawyers as soon as possible. Being caught Speeding could potentially result in an outright disqualification, or a totting up disqualification. A charge of this type should be taken seriously, and expert legal advice should be sought as soon as possible. In preparing a case, each aspect of the evidence should be considered by an expert in their field. This would be to identify any weaknesses that may be present in the prosecution case, and also whether we believe a robust defence is available. In certain circumstances, it will be appropriate to make an exceptional hardship application. Kang & Co Solicitors have expert practitioners with considerable experience in defending cases of speeding offences throughout the country. From our offices in Birmingham, Milton Keynes and London, we offer full country coverage for all motoring offences. Exceeding the limits of speed applicable to motorway only. Speeding is a strict liability offence, which means that the prosecution is not required to prove an intention to speed. Dual Carriageways & Motorways – 70mph unless stated otherwise. Notice of the possibility of the prosecution must have been sent by the prosecutor within 14 days of the offence either to the driver or the registered keeper of the vehicle. This requirement also applies to the offence of speeding. Our expert motoring lawyers investigate all aspects of your case to ensure that the prosecution has not failed to comply with their requirements. Our lawyers have successfully defended clients due to identifying failures by the prosecution. When a speeding offence is believed to have been committed and the person driving the vehicle was not stopped, the local Police force will post a Notice of Intended Prosecution (NIP) to the registered keeper of the vehicle within 14 days of the alleged offence being committed. The registered keeper will then be under an obligation to identify the driver of the vehicle and respond to the Police with the identity of the driver within 28 days of receiving the NIP. If you do not provide the details of the person driving the vehicle, the registered keeper will be prosecuted for Failing to Provide Driver Information. Once the Police has been given the identity of the person driving the vehicle when the alleged offence occurred, that person will receive a Court Summons or a Single Justice Procedure (SJP) Notice. If you have not already obtained expert legal advice from a lawyer, complete our Contact Form and one of our specialists will call you to advise on the options available to you. The prosecution of Speeding is triable only summarily, this means that a trial or any hearing in connection with a prosecution for exceeding the speed limit would only take place in a Magistrates’ Court. The specific Magistrates’ Court your case will be listed before will depend upon where the alleged offence occurred. As an example, if the offence occurred in or near Birmingham, the likelihood is that you will be required to appear before Birmingham Magistrates’ Court and if the alleged speeding offence occurred in Warwickshire your case will be listed before Warwickshire Justice Centre in Nuneaton or Leamington Spa. The same will apply if the offence occurred in Walsall, the case is likely to be heard before Walsall Magistrates’ Court. Offences committed in Staffordshire would appear before Cannock Magistrates’ Court or Newcastle under Lyme Magistrates’ Court. If you are facing a prosecution for an offence which occurred a significant distance from where you live or work, in certain circumstances our lawyers can make an application to the Court to have the case listed in a local Magistrates’ Court, this will avoid the inconvenience of having to attend a Court in a distant part of England or Wales. If a motorist is convicted or pleads guilty, the court can impose 3 to 6 penalty points or disqualify the motorist from driving for up to 56 days. In addition to the penalty points or disqualification, the court will impose a level 3 fine (level 4 fine if the speeding occurred on a motorway). A speeding conviction can also result in a ‘totting up disqualification’ (penalty points disqualification) and this could result in a driving disqualification of six months or more. An example of where ‘totting up’ would occur is if a defendant already has 6 active penalty points on a driving licence and then is prosecuted for driving too fast (51mph on a road restricted to 30mph). The conviction would result in a further 6 points being endorsed onto the driving licence, resulting in a total of 12 penalty points. In these circumstances, the defendant would be facing a driving disqualification of at least 6 months. If a motorist is facing penalty points driving ban then specialist legal advice should be obtained as soon as possible. This is to assess the prospects of making an exceptional hardship application to avoid a driving ban for exceeding the speed limit. Do I need to appoint a Speeding Offence Solicitor? 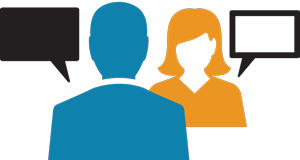 Whether you should take expert advice and representation will depend upon the number of active points on your licence, whether you have any previous disqualifications, the circumstances of the current prosecution and whether you have the available funds to appoint expert legal representation for your case. This is a very technical area of law and specialist lawyers will charge a premium for their legal advice, knowledge and Court advocacy skills. As a general overview, motorist that are more likely to benefit from appointing legal representation are those that have active points on their licence or those caught well in excess of the speed limit, these motorists are at a high risk of receiving a driving ban due to totting-up or because of the serious nature of the offence, and appointing a lawyer in such circumstances will significantly increase their chances of keeping them on the road. Drivers that have a clean licence that are facing prosecution for driving only a few MPH over the limit are unlikely to receive a disqualification and their case may be suitable to be dealt with via a fixed penalty notice. Instructing a solicitor in these circumstances may not provide a significant advantage as the risk of a driving ban would be low. Each case, and each client our specialist lawyers represent are individual and therefore the approach we take for every client is individual and based on the specific circumstances of the alleged offence. Once you have appointed our experienced and skilled lawyers to represent you for your speeding charge, we will undertake a full case assessment and will advise you of the best option available. Could I go to Prison for Speeding? A person pleading guilty or convicted following trial will only receive penalty points or a disqualification and will be required to pay the Court fine, the victim surcharge and prosecution costs. The Court cannot impose a custodial sentence (prison sentence) for speeding. If you are potentially facing a prosecution for driving at a speed significantly over the limit, then you are at risk of being prosecuted for dangerous driving, which can result in a prison sentence of up to 2 years. Are there any Loopholes to avoid a Speeding Ban? There are no ‘legal loopholes’ as such however, if the Police has not complied with the procedural requirements, then a prosecution can be challenged and is likely to result in the Police case failing. For this to be successfully argued in Court, you will require legal representation as appropriate legislation and case law will need to be referred to in establishing that the prosecution has not complied with deadlines and requirements. In certain circumstances, a ban can be avoided by advancing compelling mitigation to the Court and a successful exceptional hardship argument would also avoid a ban. For offences which are slightly over the limit, the police have a discretion to offer a ‘Speed Awareness Course’ as an alternative to a Fixed Penalty Notice or a Court prosecution. A conviction dealt with via a Fixed Penalty Notice will incur a financial penalty of £100.00 along with the endorsement of 3 penalty points. If the speeding offence is not suitable for a Fixed Penalty Notice and therefore prosecuted before a Magistrates’ Court, the financial penalty for speeding is a maximum fine of £1000.00 however, the maximum fine is £2,500.00 if the contravention occurred on a motorway, in addition to this the Court will impose 3 to 6 penalty points or a driving ban. Do You Require A Specialist Speeding Solicitor?